I am an INDEPENDENT CARPET & FLOORING INSPECTOR covering the whole of the UK. I provide on-site testing and inspections in response to claims of manufacturing faults and mistakes or negligence in carpet and hard flooring fitting or carpet cleaning. I inspect carpets and flooring fitted in private homes, commercial properties, offices and hotels and on behalf of suppliers, manufacturers, loss adjusters, Trading Standards offices and insurance companies. I have over forty years’ experience in the carpet and flooring trade as a supplier, master carpet fitter, carpet retailer, flooring contractor and carpet restoration technician. I am a qualified ' Woolsafe Organisation' carpet inspector. I am an affiliate member of 'The Chartered Trading Standards Institute' as well as being a floor coverings consultant to 'The Furniture Ombudsman'. 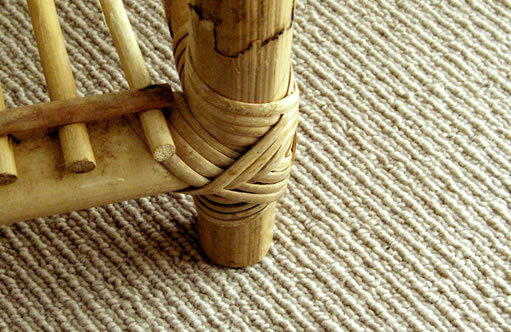 I have over 10 years’ experience working as a full-time international flooring inspector. I frequently work for British and European carpet manufacturers inspecting and investigating consumer complaints, as well as being commissioned by consumer organisations, banks, insurance companies, private and commercial end-users, investigating, reporting and resolving disputes or claims. I have no affiliation to any carpet or flooring manufacturer, supplier fitter or cleaner. My reports are totally objective and based solely on the results of my inspections of your flooring. I will travel to your home or business anywhere in the UK to inspect and provide a report on your problem carpet or problem flooring. Just a quick note to say thank you for your help with our 'problem' carpet. ... Your report enabled us to get to the root of the problem quickly and efficiently, enabling a satisfactory outcome for all parties.